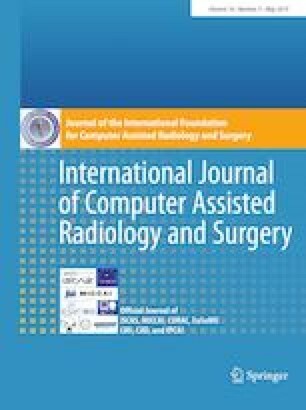 The purpose of this study was to transform brain mapping data into a digitized intra-operative MRI and integrated brain function dataset for predictive glioma surgery considering tumor resection volume, as well as the intra-operative and postoperative complication rates. Brain function data were transformed into digitized localizations on a normalized brain using a modified electric stimulus probe after brain mapping. This normalized brain image with functional information was then projected onto individual patient’s brain images including predictive brain function data. Log data were successfully acquired using a medical device integrated into intra-operative MR images, and digitized brain function was converted to a normalized brain data format in 13 cases. For the electrical stimulation positions in which patients showed speech arrest (SA), speech impairment (SI), motor and sensory responses during cortical mapping processes in awake craniotomy, the data were tagged, and the testing task and electric current for the stimulus were recorded. There were 13 SA, 7 SI, 8 motor and 4 sensory responses (32 responses) in total. After evaluation of transformation accuracy in 3 subjects, the first transformation from intra- to pre-operative MRI using non-rigid registration was calculated as 2.6 ± 1.5 and 2.1 ± 0.9 mm, examining neighboring sulci on the electro-stimulator position and the cortex surface near each tumor, respectively; the second transformation from pre-operative to normalized brain was 1.7 ± 0.8 and 1.4 ± 0.5 mm, respectively, representing acceptable accuracy. This image integration and transformation method for brain normalization should facilitate practical intra-operative brain mapping. In the future, this method may be helpful for pre-operatively or intra-operatively predicting brain function. This study was supported by a Grant-in-Aid for Scientific Research (B-JP22300093, C-JP12007086), Core Research for Evolutional Science and Technology (CREST), JSPS Grant-in-Aid for Scientific Research on Innovative Areas (Multidisciplinary Computational Anatomy, JSPS KAKENHI Grant-JP15H01128, JP17H05306) and MIC Grant-JP162101001 Strategic Information and Communications R&D Promotion Programme (SCOPE). The authors would like to thank Dr. Etsuko Kobayashi for advisory assistance with precision biomedical engineering and Prof. Akimasa Hirata for advisory assistance with the physics of brain mapping. All procedures performed in studies involving patients were in accordance with the ethical standards of the ethics committee of Tokyo Women’s Medical University and with the 1964 Declaration of Helsinki, as revised in 2013. Each patient provided informed consent before the surgical procedure.